The Holot Theater is a theatre group of asylum seekers and Israelis who came together in order to present the many problems caused by the policies regarding refugees and asylum seekers in Israel. 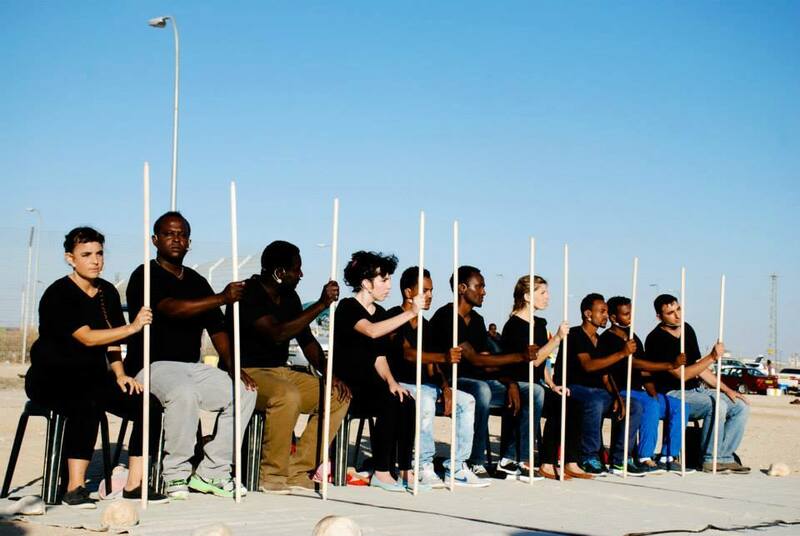 Inspired by Augusto Boal’s Theater of the Oppressed, the Holot Theater has been exploring various techniques, exercises, and improvisations in order to address and process asylum seekers’ personal and social problems in Israel. Founded at the Holot Detention Camp in 2015, the theater group provides a democratic framework whereby legal issues can be critically examined and discussed with the audience who is invited to actively imagine the possibility of policy and legal change toward asylum seekers in Israel. During the performance, which is based on the participants’ personal testimonies, the group offers new readings of the Refugee Convention with the intention to inspire public discussion and social transformation.